We are TIX, Australia's largest event promotion platform. We create innovative event promotion technology solutions for the Arts and Entertainment industry worldwide. TIX is seeking a full stack PHP developer to help grow our existing team of developers. A critical role in the business, this full stack developer role is responsible for developing high quality solutions across all of TIX’s products. Working alongside the CTO, in a start-up 'ish' environment (think fast paced, constantly changing, making it up as we go) This is not a corporate setting and would best suit someone with experience, desire and comfort working in this type of business. Think small team, fun environment and plenty of robust debate. This is a full-time position. Applicants must be eligible to work in Australia with no restrictions. 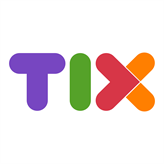 Want to get notified about new jobs at TIX?